Editor’s note: Marine Montejo is a graduate from the College of Europe in Bruges and is currently an Intern at the ASSER International Sports Law Centre. In its decisions regarding the joint selling of football media rights (UEFA, Bundesliga, FA Premier league), the European Commission insisted that premium media rights must be sold through a non-discriminatory and transparent tender procedure, in several packages and for a limited period of time in order to reduce foreclosure effects in the downstream market. These remedies ensure that broadcasters are able to compete for rights that carry high audiences and, for pay TV, a stable number of subscriptions. In line with these precedents, national competition authorities have tried to ensure compliance with remedy packages. The tipping point here appears to be the premium qualification of sport rights on the upstream market of commercialization of sport TV rights. This begs the question: which sport TV rights must be considered premium? The European Commission already held that European football championships, the Olympics and Formula 1 are premium rights but the question remains open for various other sports because they have not been the subject of competition proceedings yet. Two recent cases (the decisions are accessible here and here) brought before the French competition authority concerning rugby TV rights highlighted the need to bring out objective criteria to determine what are premium sport rights, bearing in mind that something premium in France may be qualified as non-premium in another market depending on its characteristics. Before discussing the need for legal certainty for sport rights holders, we will appraise the two French decisions on rugby and how premium sports are qualified. Canal Plus, the current holder of the rights, and the Ligue Nationale de Rugby (national rugby league, “LNR”) entered into a negotiated procedure regarding the renewal of their Top 14 TV rights. However, in December 2013, the procedure was unsuccessful and the LNR decided to terminate the contract it had with Canal Plus. In so doing, the LNR started a legal war with its former broadcaster. As one of the conditions for the approval of the TPS/Canal Sat merger, Canal Plus was required to give the LNR the option to terminate their contract at the end of the 2013/2014 season. The LNR, deciding that the price Canal Plus was paying did not correspond to the reality of the market anymore, started an open call for tenders for the next four seasons which led Canal Plus to file several legal actions to challenge the interruption of the negotiations, the termination of the contract and the call for tenders. Almost immediately the LNR suspended the call for tenders and resumed its negotiations with Canal Plus. In January 2014, the exclusive TV rights for all the Top 14 matches were awarded to Canal Plus - not only for the subsequent four but ultimately the following five seasons (2014/2015 to 2018/2019). Canal Plus had to put 355 million euros on the table to acquire the exclusive rights, amounting to twice the amount it paid for the previous broadcasting contract. BeIN Sports, a newcomer on the French sport TV rights market, filed a complaint and asked for interim measures with the Autorité de la concurrence. The French competition authority, in its decisional practice, distinguishes six different markets for sport TV rights acquisitions: (i) the national football first division market (Ligue 1); (ii) the market for annual football championships involving French teams (Ligue, UEFA Champions League and UEFA Europa League); (iii) the market for the most attractive foreign football championships; (iv) the market for other football competitions; (v) the market for events of major importance other than football; and (vi) the market for sport competitions other than football and events of major importance (or “other rights”). The first five markets are better known as premium rights while the last one consists of all other non-premium rights. Rugby media rights were considered as non-premium before that decision. The Autorité recognized that rugby and more importantly, the Top 14 championship, were facing an important growth in popularity as reflected by the high value of its broadcastings rights and the high audiences it attracts. At the time of the decision, rugby was the third sport, after football and tennis, in terms of viewers and Canal Plus accepted to pay an average of 71 million euros per season for the rights. The Top 14 appears to be an important source of subscriptions (pt. 100) which makes it particularly attractive for pay TV channels. This competition was the second driver of subscriptions (32%) for Canal Plus just after the Ligue 1 (51%) but before the UEFA Champions League (31%). In light of these circumstances, the Top 14 rights should be considered as premium TV rights. Next, in considering which market these rights should belong to, the Autorité set four criteria to be met to decide on the relevant premium market: (i) key sales driver for TV subscription; (ii) high audiences; (iii) value over 10 million euros per season; and (iv) competition characteristics (level and regularity). Without being particularly clear, the Autorité seems to consider that the Top 14 rights belong to a separate premium market (pt. 138). As a consequence, given the particularities of the French market, the Top 14 rights shifted from the non-premium market to the premium market which means that their commercialisation should have been awarded through a transparent and non-discriminatory tender procedure, for a limited period of time and divided into several packages consistent with the national and European practices. The question concerning the premium qualification of sport TV rights arose again in a more recent case before the French competition authority, this time concerning the live broadcasting rights for rugby’s second tier (“Pro D2”). The LNR carried out a public consultation for the marketing of commercial rights for the Pro D2 championships for the 2015/2016 to 2019/2020 seasons. Following three rounds of negotiation, Canal Plus and Eurosport were awarded the rights for a total of 31 million euros. The third and rejected applicant, Ma Chaîne Sport (“MCS”), a fairly new but growing sports channel and more importantly part of the Altice group (a multinational cable, fiber, telecommunications, contents and media company), filed a complaint before the French Autorité de la Concurrence. In this complaint, it claimed it was excluded from the selling process as a result of both a cartel between Eurosport, Canal Plus and the LNR, and an abuse of dominant position from the LNR on “the market for the acquisition of semi-premium sport TV rights” (pt.47). The TV rights for the Pro D2 championship are part of the sport “other rights” market as the competition authority never had to decide on that particular case before. However, MCS is claiming that these rights should belong to a new and different market of semi-premium sport rights that, without combining together the usual criteria found in the jurisprudence to identify premium rights, are still able to attract significant audiences, making them sufficiently attractive to be of interest to premium channels. MCS further argues that the Pro D2, the football Ligue 2 (second division), the basketball Pro A and the handball D1 (all first division) belong on that market. All those rights, with the exception of the Ligue 2 rights which are considered as premium, are valuable in terms of killer content for pay TV but currently belong to the non-premium rights market. The Autorité acknowledges that the non-premium rights market is set as default and brings together a heterogeneous set of rights in attractiveness and value (pt.55). It also acknowledges that some of these rights attract higher prices but not quite enough to meet the threshold of 10 million euros per season to be considered as premium. Referring to its consistent decision making, the Autorité considers that relying on a sole criterion, namely a higher selling price than the average prices in the non-premium market, is not sufficient to change the relevant market to a premium market, without a substitutability analysis (pt.58). As a consequence, those rights are still deemed to belong to the non-premium rights market. The recognition of a semi-premium market would have led to a division in the non-premium rights market (i.e. semi-premium rights on the one hand and the remaining rights that are less valuable on the other hand). Once again, the Autorité points out that such a categorization within the non-premium category is irrelevant from a competition law point of view (pt.59). Establishing a specific premium TV rights market should involve legal consequences as usually occurs when TV rights shift from the non-premium market to a specific premium market. Within the same market, it is difficult to see what those legal consequences should be. The non-premium TV market is ruled by common contract law in contrast to premium rights that have to comply with a number of obligations to ensure compliance with EU competition law (open and transparent tendering process, packages, and limits in duration). Imposing those remedies on the semi-premium market would lead to the absorption of the market by the premium TV rights markets (pt.63). 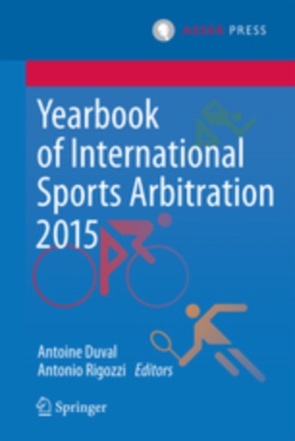 As a consequence, the Autorité finds that there is no legal need to define a semi-premium sport TV rights market. We have seen that the shift between non-premium and premium sport rights is the tipping point that leads rights holders to start open tendering processes for the selling of their rights. However, in France, the Code du Sport provides that sport federations are the owners of the media rights for their sport. These federations can decide to transfer this ownership to clubs. In this case, joint selling by the league is compulsory and it has to be done through an open and transparent tender process, the rights must be packaged and they must be sold for a maximum period of four years. The Code du Sport codifies the remedies imposed by the European Commission in the joint selling of football media rights cases, but it does not mention premium rights. These obligations are applicable in the case of transfer of ownership and where a professional league exists. Thus, in France it only applies in relation to football, rugby, basketball, volleyball and handball, five sport for which a professional league has been set up. In practice, the French football federation is the only federation that transferred the ownership of rights to its clubs for the first and second divisions and, as a consequence, the football national league, responsible for the joint selling on behalf of the clubs, has to respect the obligations laid down in the Code. It is possible that, in hoping to circumvent those obligations, the other four federations decided to keep the ownership of the media rights. This is, in particular, the case of the rugby federation where the league is selling the media rights for the Top 14 and Pro D2 on behalf of the federation. Both decisions on the Top 14 and Pro D2 reintegrate the notion of premium and non-premium rights into the legal analysis. 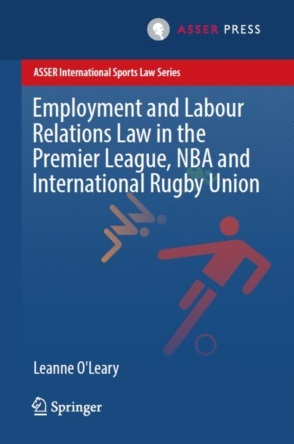 In the case of rugby, where the national provisions for the selling of sport rights did not apply because the federation was the owner of these rights and not the clubs, the shift from non-premium to premium rights leads to the application of competition remedies. Moreover, the Top 14 decision opens the way to tendering processes, packaging and the limiting of contract durations in cases of sports where national provisions do not apply because there is no professional league. Indeed, in this scenario, the media rights will be considered as premium because they fulfil all criteria. Hence, two scenarios can be envisaged: where a professional league exists, the federation has to decide whether it transfers the rights ownership to clubs and respects the obligations laid down in the law; and where it decides to retain ownership, or if there is no league, the federation or league has to make sure its rights are not premium in accordance with the Top 14 decision before deciding on the marketing procedure it has to follow. The criteria developed by the French competition authority appear to be quite objective and effective as these criteria were also used by the Belgian competition authority in a dispute between Proximus and Telenet concerning the rights of the 2015-2016 cycle-cross Superprestige competition that were awarded to Telenet. Telenet used the cumulative criteria from the Top 14 decision to show that cycle-cross does not constitute a separate market from the other cycling rights that are not premium. The national competition authority however, also referring to the French decision, considers that these rights should be on a separate premium market because of their popularity throughout Flanders and that they are subscriptions driver. The question remaining here is whether it would be useful to codify these criteria. First, it has to be stated that these criteria were only used in the case of live TV and that it is difficult to assess if they are objective enough to be used for all media transmissions (which are mostly Internet-based). On the other hand, media is a fast moving market and it is absolutely not certain that engaging in a legislative process to codify those criteria will give the margin of appreciation necessary to correctly assess premium sport media rights markets and prevent any distortion of competition. A full codification does not appear essential in that case and, as shown in the Belgian cycle-cross situation, these criteria can be used in other sports and markets to determine the premium qualification of media rights which gives a modicum of legal certainty to sport rights holders. However, a question remains surrounding sport rights that almost fall within the premium market. For non-premium rights, rights holders have the freedom to decide how they want to organise the selling of their TV rights. As Telenet in the Belgian decision on cycle-cross rightly pointed out, the imposition of a transparent tender procedure for rights holders that belong to the non-premium market creates an imbalance as they do not have the same resources as the premium rights holders to organise such a costly tender procedure. Yet, in practice, and in the Pro D2 case, rights holders tend to organise tender procedures and unbundle their rights even though they are not legally obliged to do so. In the case of the Top 14, the LNR carried out a market assessment before even starting its negotiations with Canal Plus and should have known its rights fell into the premium category. The problem here for rights holders is to prevent any dispute arising after the selling process concerning the non-premium/premium qualification of the TV rights in question. Identifying a semi-premium category may be useful for rights holders in better managing the shift from non-premium to premium rights holders. Right holders that are close to seeing their non-premium rights become premium should carefully assess the commercial attractiveness of their rights and probably decide on a formal selling procedure in order not to risk their selling process being annulled by competition authorities. As seen with these two French cases, the value of sport TV rights may change over time, depending on factors such as the improvement in the level of competition and the public interest, which creates the possibility for these rights to change categories. Moreover, this appreciation may change from one national market to another. Moving from the non-premium to premium market implies some important changes in the selling process and rights holders should carefully appraise the value and popularity of their sport beforehand. The criteria laid down in the Top 14 decision may be considered as guiding principles in this process and, accordingly, it may be used by other competition authorities faced with similar circumstances. BeIN Sport is a French sport premium channel in direct competition with Canal Plus and Eurosport and owns an important portfolio of sport rights for football (Ligue 1, Ligue 2, UEFA Champions League and Europa League), rugby, tennis and handball in particular. In February 2016 Canal Plus announced it had reached an agreement to exclusively distribute beIN Sports. The French competition authority is expected to decide very soon on that issue. Autorité de la concurrence, 14-MC-01, 30/07/2014 and Cour d’Appel de Paris, arrêt du 09 octobre 2014. Autorité de la concurrence, 12-DCC-100, 23/07/2012. Autorité de la concurrence, 16-D-04, 23/03/2016. MCS (from July 2016, SFR Sport channels) sport rights portfolio mainly consists of the competition rights overlooked by the biggest actors on the market. However, it owns some valuable rights such as the basketball Pro A (French first division basketball championship), the CEV DenizBank Volleyball Champions League, the WTA tour in tennis and more importantly, from 2016, the FA Premier League.